Print this page and take it with you as you embark on a driving tour in the Northfield area to learn about the history of the Northfield United Methodist Church. Directions: Take Division Street/Highway 246 southward out of Northfield. Leave 246 just south of the intersection of 246 and 82, then briefly continue southward on 82, then turn right onto 22 at the “Y” of the two roads. Total distance to the site is just under three miles from the intersection of Jefferson Parkway and Highway 246 to the Eleanor Salisbury Farm. The farm is on the left hand side of 22, and has a white fence near the road, #12685. A log cabin near the road (perhaps similar to to the photograph to the right of a cabin built on a nearby farm in about 1862), was where the first services were held. 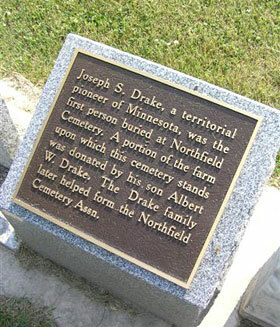 At the time, a road connecting Hastings and Faribault ran near the farm (a portion of that remains in a dirt county road running eastward from 22 just about a quarter-mile north of where the Larkin cabin once stood). A livery station was located at the intersection. The following week, July 29th, William McKinley, later to serve as pastor of the circuit and as a leading minister in the Minnesota Conference, preached on Psalm 4:6: “Many there be that say who will show us any good, Lord….Lift thou up the light of thy countenance upon us.” Services continued at this site until the fall. Directions: Return northward on 22. A short distance before you reach the Y of 22 and 82, you will see a 19th century red brick home off the road on your left. This is roughly the site of the original Joseph R. Drake home and farm (near which the Fountain Grove Post Office once stood). In the fall of 1855, the Wisconsin Conference included this new preaching point in their Cannon River Mission, which extended all along the Cannon River Valley. The Reverend T.M. Kirkpatrick was appointed Presiding Elder, and he moved the preaching place to the Drake farm since it was more centrally located. Dr. Scofield organized a Methodist class that met regularly at the Drake home. 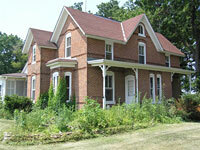 The second quarterly meeting of the Cannon River Mission was held on this farm on February 25, 1856. Directions: Continue into Northfield on Division Street/246. Enter the Northfield Cemetery, opposite the high school and Bierman Funeral Home. In the south central section of the cemetery you will find grave-markers for Dr. John L. Scofield, as well as for Joseph R. Drake, and their families. Incidentally, near the western/front face of the cemetery you will also find the grave-marker of Nicholas Gustafson, the Swedish immigrant killed in the Jesse James Northfield Bank robbery attempt of 1876. Del Gustafson, a relative of Nicholas, is a member of the Northfield United Methodist Church. Directions: Go to 300 Union Street in Northfield (current site of the First Congregational, United Church of Christ). Directions: Go to about 310 East 6th Street between College and Union. In the spring of 1857, a lot and foundation for a church were procured at this site. A financial depression in the territory hindered the building of a church there. A church was finally completed in May of 1859. The church once overlooked a pond (now low ground filled with homes) which was known then as “Methodist Pond”. There is no remaining photograph of the church. However, the church that stood here was remembered in the Northfield News in 1897 as “…more like a small barn with windows on the side than a modern house of worship. The inside…was the plainest of plain; no electric lights, no carpets, no papered, painted or frescoed walls, no cushioned seats or upholstered furniture adorned the inside of this pioneer church, but into this modest, homely, and unpretentious building was put the labor of love and self-sacrifice of the men, women and children of the church, and they were proud of it and loved it with a love that few people feel for the church today. This was the only church building in Northfield, and the Methodists generously shared it with the Congregationalists and the Baptists.” A parsonage was built in 1868 on a lot adjoining the church. There were six charges in the circuit at that time: Northfield, Dundas, Northfield circuit, Cannon City, Faribault and Cannon Falls. Total circuit membership was 721. Directions: Go to corner of 3rd and Washington. At this site in 1874, new property for the church was purchased. Due to a fire, the parsonage on East Sixth Street was destroyed, and a new parsonage was built on this new property in 1875. It later became the Skaar apartment house (currently owned by the Gene Drentlaw family, members of our congregation). In 1877, the old church on East Sixth Street was sold, and construction was started on a new church adjacent to the new parsonage. Only the lower rooms could be constructed and used at that time, due to financial constraints. 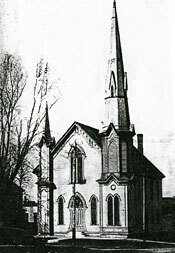 The building was finally completed as a two-story frame building and dedicated in 1883 to serve an expanding congregation. 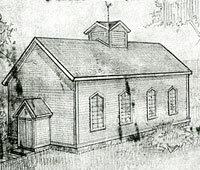 In 1899 the Minnesota Annual Conference was hosted at the church. Membership had risen to about 350 in the Northfield congregation. Directions: Go to the corner of 3rd and Winona. In 1921, property was purchased on this corner lot for a church. The old residence of Carleton President, F.B. Hill, was purchased and turned into a Parish House, the offices and education wing of the church (the large building still stands at 419 East 3rd Street, and is used by Carleton College). Soaring costs made new construction of a worship facility impossible. In 1924, the old church from 3rd and Washington was moved to this site, just to the east of the Parish House, remodeled and dedicated on September 12-14. By 1946, part of the Parish House was used as an apartment for the pastor’s family; the old parsonage on Washington Street was sold. In 1951 a new parsonage was built, just to the west of the Parish House. This location, farmland at the edge of Northfield when it was purchased, is the current site of the Northfield United Methodist Church and adjoining parsonage. The current church building and parsonage were constructed about 1965. 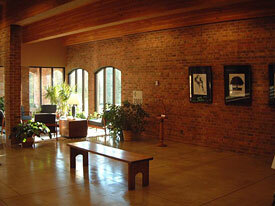 The architect was Edward Sovik, a Northfield architect who gained international recognition for similar church plans. A new Gabriel Kney organ was added to the church about 1995. Significant additions and remodeling in the spirit of Mr. Sovik’s original design for the church were completed and dedicated in 2001 during the tenures of Pastors Clay Oglesbee, Holly Aastuen and Janet White. In 2007 a remodel of the kitchen was completed.